Middlesbrough Football Club were formed in 1876 as well....wait for it...Middlesbrough Football Club. Unlike a lot of teams in the south the north east likes to keep things simple. 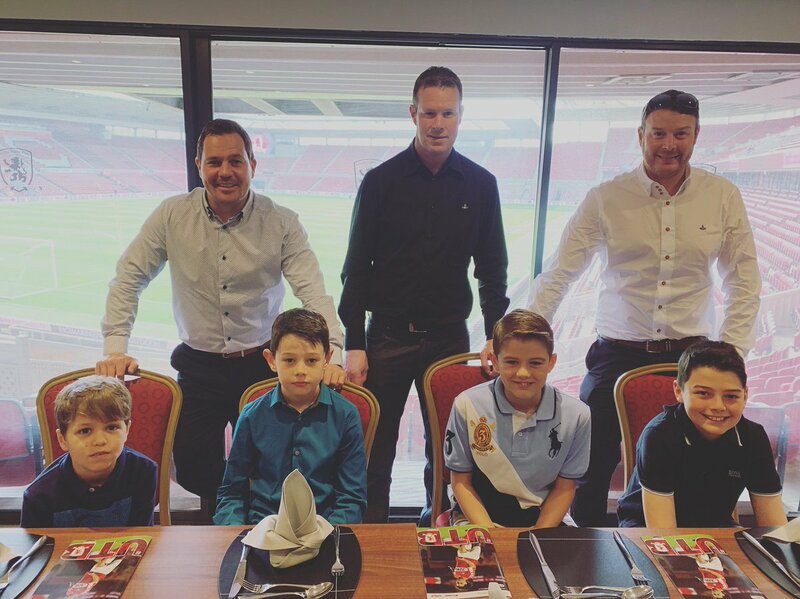 Throughout their history they have only played at 2 grounds Ayresome Park and from 1995 the Riverside Stadium. In terms of major trophies it's a little bit thin on the ground, a single success in the 2004 League Cup being th sum total of the silverware. Trophies, smophies, what really matters to Middlesbrough fans is getting the best over their 2 major north east rivals, Newcastle and Sunderland. 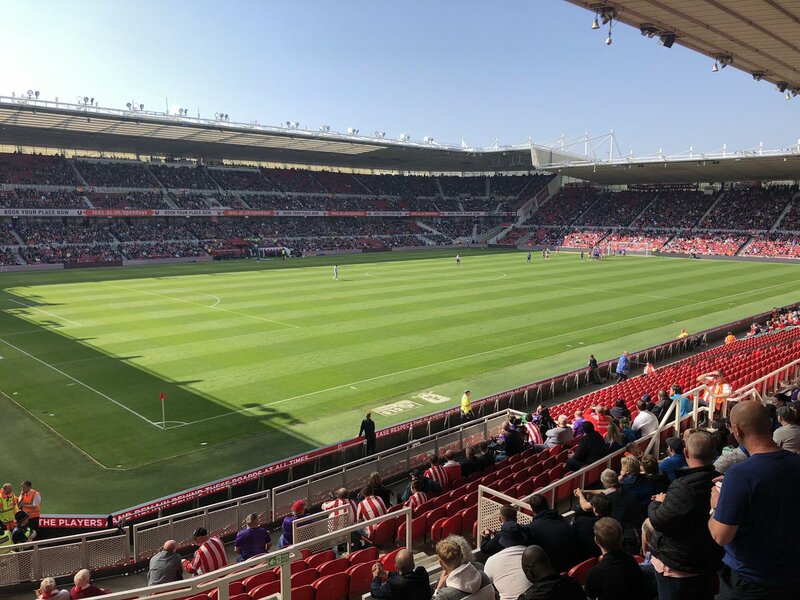 This holy trinity makes for some of the most fierce rivalry in English football and any derby day at the Riverside is a match not to be missed. In recent years the club seems to have become one of a number of yo-yo clubs that spending seasons bouncing between the Championship and the Premier League. A consistent run in the Premier League would be very welcome by their fans just about now. 90'+5' - Thats all. 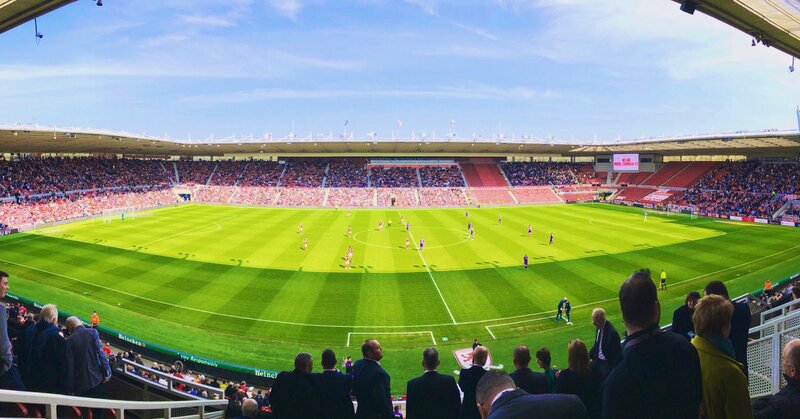 Game finished - Middlesbrough 1, Stoke City 0. 90'+5' - Second Half ended - Middlesbrough 1, Stoke City 0. 90'+4' - Aden Flint - Middlesbrough - won a free kick in defence. 90'+3' - Missed chance. Thibaud Verlinden - Stoke City - shot with right foot from outside the box is very close to the goal. Assist - Thomas Edwards after corner. 90'+3' - Corner - Stoke City. Conceded by Paddy McNair. 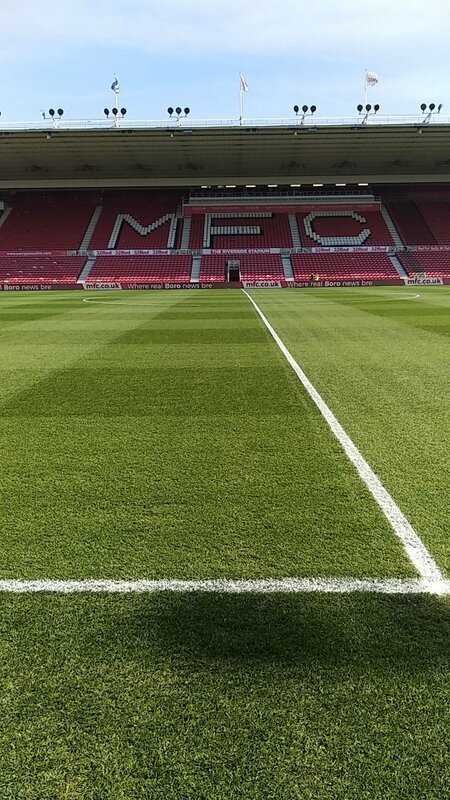 90'+2' - Corner - Middlesbrough. Conceded by Thomas Edwards. 89' - Missed chance. Peter Etebo - Stoke City - shot with right foot from outside the box is very close to the goal. Assist - Thibaud Verlinden . 87' - Thibaud Verlinden - Stoke City - won a free kick on the left wing. 87' - Corner - Stoke City. Conceded by George Saville. 85' - Substitution - Stoke City. Mame Biram Diouf for James McClean. 83' - Substitution - Middlesbrough. Jordan Hugill for Britt Assombalonga. 82' - Danny Batth - Stoke City - receive yellow card for dangerous play. 82' - Darren Randolph - Middlesbrough - won a free kick in defence. 82' - New attacking attempt. Sam Vokes - Stoke City - shot with the head from the centre of the box is saved in the right corner. 82' - Shot blocked. James McClean - Stoke City - shot with left foot from outside the box is blocked. 82' - Shot blocked. Danny Batth - Stoke City - shot with the head from the centre of the box is blocked. Assist - Sam Clucas with a cross. 81' - Adam Clayton - Middlesbrough - receive yellow card for a foul. 81' - Corner - Stoke City. Conceded by Jonny Howson. 76' - Delay in match Adam Clayton - Middlesbrough - - injury. 76' - Stewart Downing - Middlesbrough - won a free kick in defence. 73' - Substitution - Middlesbrough. Marcus Tavernier for Ashley Fletcher. 71' - Corner - Stoke City. Conceded by Paddy McNair. 71' - Substitution - Stoke City. Thibaud Verlinden for Benik Afobe. 68' - Nathan Collins - Stoke City - won a free kick in defence. 66' - New attacking attempt. Ashley Fletcher - Middlesbrough - shot with right foot from outside the box is saved by goalkeeper in the centre of the goal. Assist - Stewart Downing. 65' - Missed chance. George Saville - Middlesbrough - shot with the head from the centre of the box missed to the left. Assist - Adam Clayton with a cross. 60' - Paddy McNair - Middlesbrough - won a free kick in defence. 58' - Missed chance. Danny Batth - Stoke City - shot with the head from the centre of the box missed to the left. Assist - Sam Clucas with a cross after corner. 57' - Corner - Stoke City. Conceded by Jonny Howson. 55' - Substitution - Middlesbrough. Stewart Downing for Muhamed Besic. 55' - Missed chance. Sam Clucas - Stoke City - shot with left foot from outside the box is close, but misses the top left corner. Assist - Peter Etebo. 53' - Adam Clayton - Middlesbrough - won a free kick in defence. 50' - Offside - Middlesbrough. Darren Randolph with a pass, however Ashley Fletcher is in offside. 49' - Missed chance. Benik Afobe - Stoke City - shot with the head from few metres missed. Assist - Sam Clucas with a cross after corner. 48' - Corner - Stoke City. Conceded by Jonny Howson. 47' - Missed chance. Ryan Shotton - Middlesbrough - shot with the head from the centre of the box is high and wide to the left. Assist - Muhamed Besic with a cross . 46' - Adam Clayton - Middlesbrough - won a free kick on the right wing. 45' - Second Half starts Middlesbrough 1, Stoke City 0. 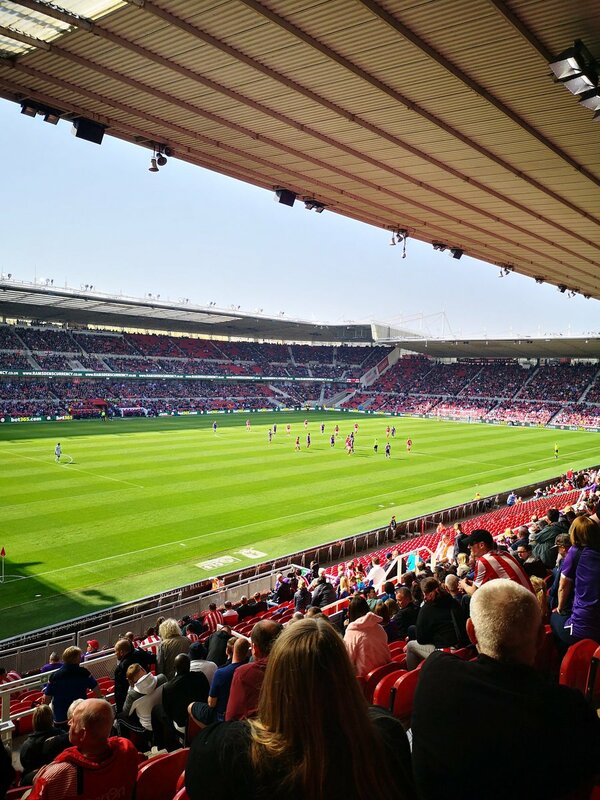 45'+3' - First Half ended - Middlesbrough 1, Stoke City 0. 45'+2' - Joe Allen - Stoke City - won a free kick in defence. 45'+1' - Missed chance. Sam Vokes - Stoke City - shot with the head from the centre of the box is close, but missed to the left. Assist - James McClean. 43' - Sam Clucas - Stoke City - won a free kick in defence. 43' - Missed chance. James McClean - Stoke City - shot with the head from the centre of the box goes high. 41' - Missed chance. James McClean - Stoke City - shot with left foot from outside the box is close, but missed after corner. 40' - Corner - Stoke City. Conceded by Ryan Shotton. 40' - Sam Clucas - Stoke City - won a free kick in defence. 37' - Joe Allen - Stoke City - won a free kick in defence. 37' - Peter Etebo - Stoke City - won a free kick in attack. 31' - Offside - Stoke City. Ashley Williams with a pass, however James McClean is in offside. 29' - Missed chance. John Obi Mikel - Middlesbrough - shot with left foot from outside the box is high and wide to the right after corner. 27' - Delay in match Benik Afobe - Stoke City - - injury. 27' - Corner - Middlesbrough. Conceded by Ashley Williams. 25' - Missed chance. Ashley Fletcher - Middlesbrough - shot with right foot from the right side of the box goes high. 21' - Missed chance. Benik Afobe - Stoke City - shot with the head from the centre of the box is close, but missed. Assist - James McClean with a cross. 20' - Benik Afobe - Stoke City - won a free kick in attack. 19' - Offside - Middlesbrough. Jonny Howson with a pass, however Britt Assombalonga is in offside. 18' - Missed chance. Danny Batth - Stoke City - shot with the head from the centre of the box missed to the left. Assist - Sam Clucas with a cross after corner. 18' - Corner - Stoke City. Conceded by Aden Flint. 17' - Benik Afobe - Stoke City - won a free kick in defence. 13' - Ashley Fletcher - Middlesbrough - won a free kick in attack. 12' - Ryan Shotton - Middlesbrough - won a free kick in defence. 11' - Missed chance. Paddy McNair - Middlesbrough - shot with right foot from outside the box missed to the left. Assist - John Obi Mikel. 10' - Shot blocked. James McClean - Stoke City - shot with right foot from outside the box is blocked. 10' - Corner - Stoke City. Conceded by Paddy McNair. 9' - Peter Etebo - Stoke City - won a free kick on the right wing. 7' - Corner - Stoke City. Conceded by Jonny Howson. 2' - GOAL!!! Middlesbrough 1, Stoke City 0. Britt Assombalonga - Middlesbrough - shot with left foot from few metres to the left corner. Assist - Jonny Howson with a cross.